Practice. 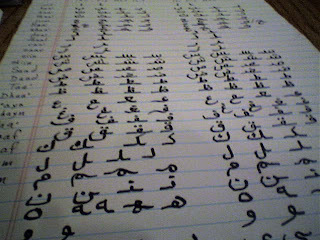 Spent an hour or so at a cafe, writing the letters of the Arabic alphabet. I’m not that good yet but I did get through all the letters, in isolated, final, medial and initial forms (wrote them twice each). The next day I was able to form some elementary words.